-Put the coconut milk, green chilli,red/yellow pepper, cherry tomato into the pan then bring it to boil. Once the soup boiled turn the heat down quickly to simmer. 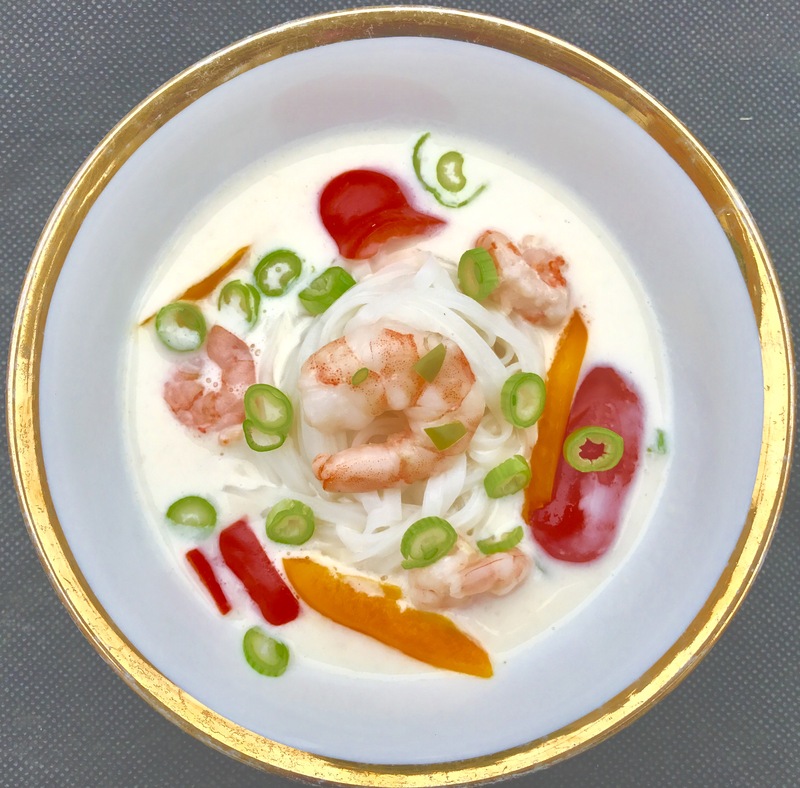 -Add the ginger puree, lemongrass puree, fish sauce, honey.Mix gently then add the prawns, leave the soup to gently simmer while cooking the rice noodle. -Cook the rice noodle according to the instruction on the package. -Once the noodle cooked, drain all the excess water and transfer into the serving bowl. -Pour the creamy soup into the same serving bowl. Garnish with the spring onion. 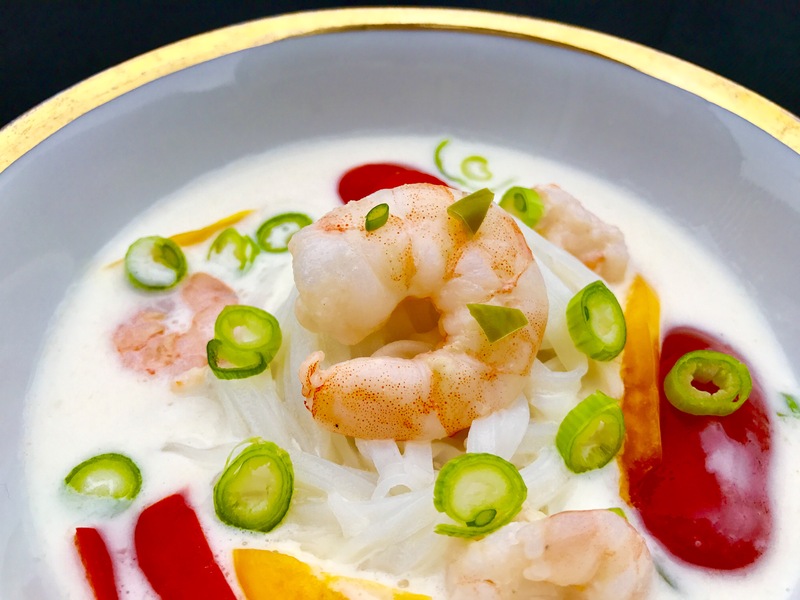 -That is it the fresh yet comforting Tom Kha soup is ready for you…and Autumn evening. -Use a 1/2 of the fresh chilli if you like it really spicy. -You can also use a fresh galangal for an authentic Thai Tom Kha Soup.